Highlighting is that one makeup trend that none of us would ever want to let go of.. Because let’s just admit it, who doesn’t like having a goddess-like-glow on their cheeks! 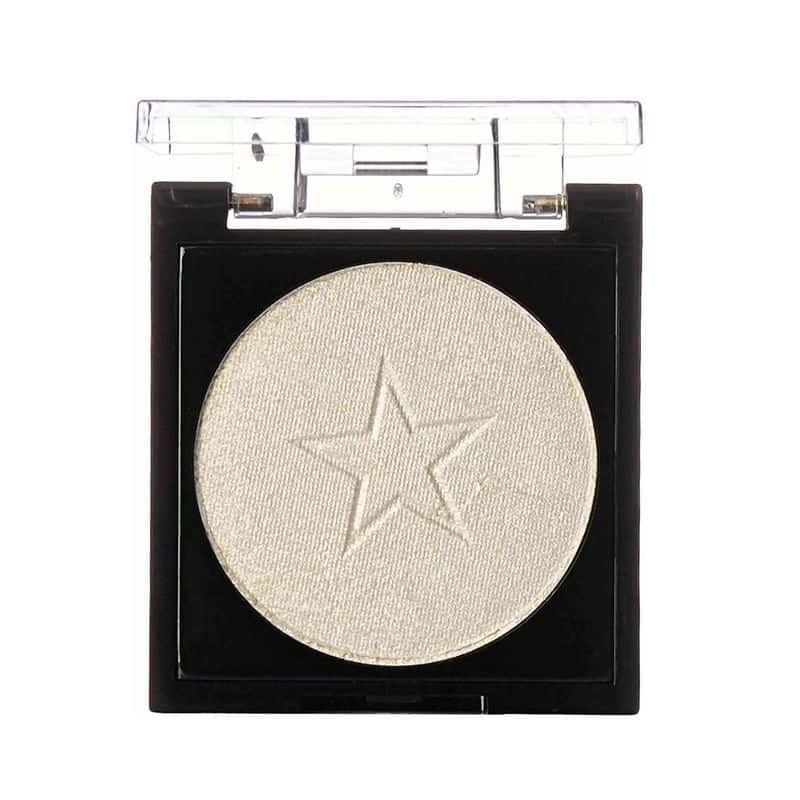 Whether you are someone who strives to hear those three words “DAT GLOW THO” with your highlighter on or you like to keep things sweet and subtle with the slightest bit of highlighter powder on your cheekbones, there is a perfect highlighter for all of you out there that would not break your banks! 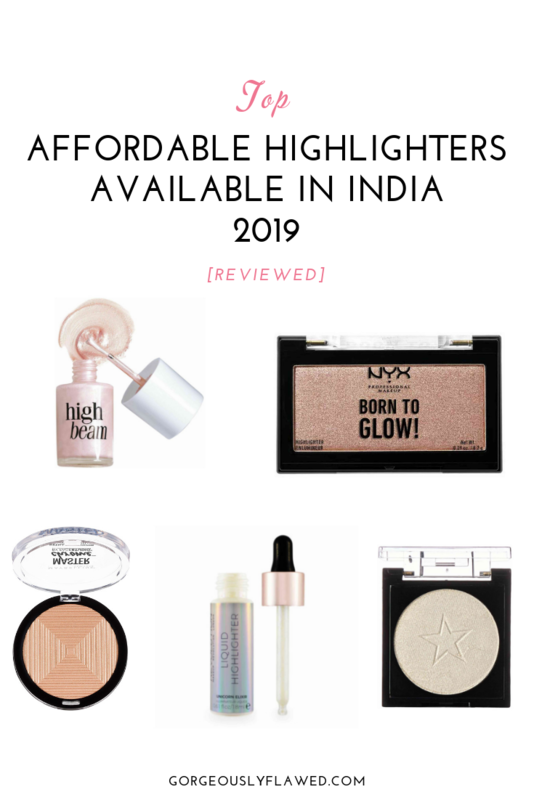 In this post, I have charted out the top affordable highlighters available in India for 2019 and also reviewed them for you guys. So if you are on a hunt for the best highlighter in India under budget, this post is here to your rescue. How many of us buy a makeup product and actually end up finishing even half of it before it expires? Hmm, probably not even 1%! 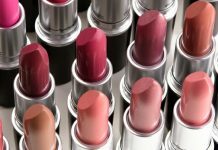 Thankfully, brands like MAC and Sugar Cosmetics are now launching mini versions of their products that are priced more affordably. So by purchasing the mini-sized products instead of going for full sized ones, you wouldn’t just save your money, but there are high chances that you might actually finish the whole product before its expiry date nears. 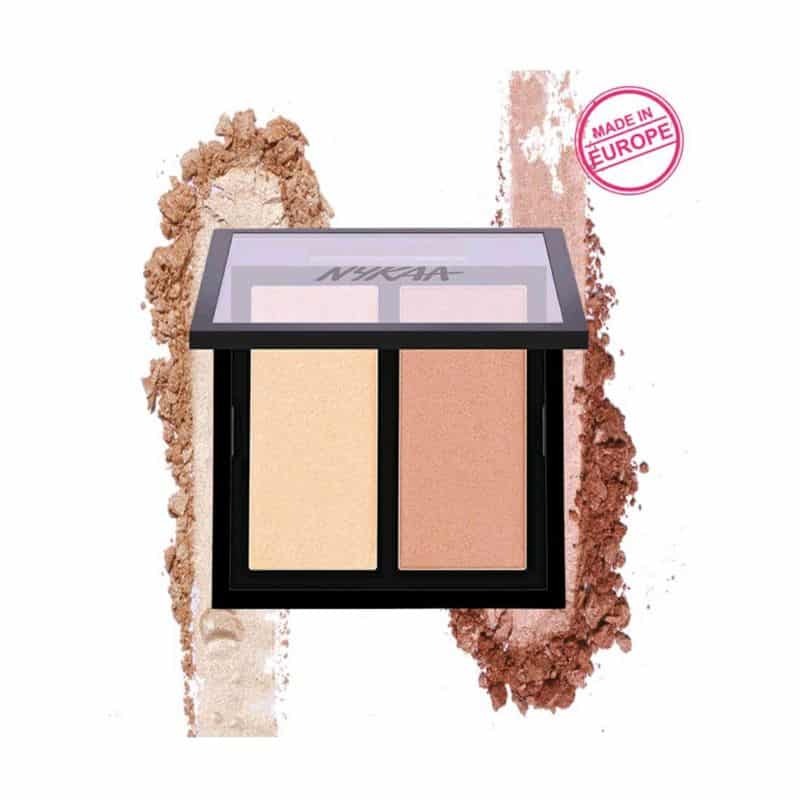 The brand, Sugar Cosmetics has mini versions of their Contour De Force Highlighters that are available in 2 shades – Champagne Champion (ideal for pale skin) and Golden Glowing (for deeper skin). Cheapest highlighter in India from a brand that I vouch for! Has a small, compact and travel-friendly packaging. The highlighters are smooth and sufficiently pigmented, not chalky or glittery at all. The swatches of WnW highlighting powders are just wild! Although these highlighters are available in 6 shades, only 4 of them are launched in India. But nonetheless, all 4 of them are bomb.com highlighters for Indian skintones. And of course, they all carry an affordable price tag of under Rs.500/- which is like a cherry on the cake! Affordable, under 500 highlighter in India. The highlighters in this range don’t look glittery or dramatic on the skin. They give a very natural yet breath-taking glow to the cheeks! Has a good selection of shades. Not available in offline markets. Earlier, Miss Claire’s products were not widely available in Indian markets. But now, the brand has launched all of their products officially on Nykaa and Amazon India, so now, we have an easy access to them! 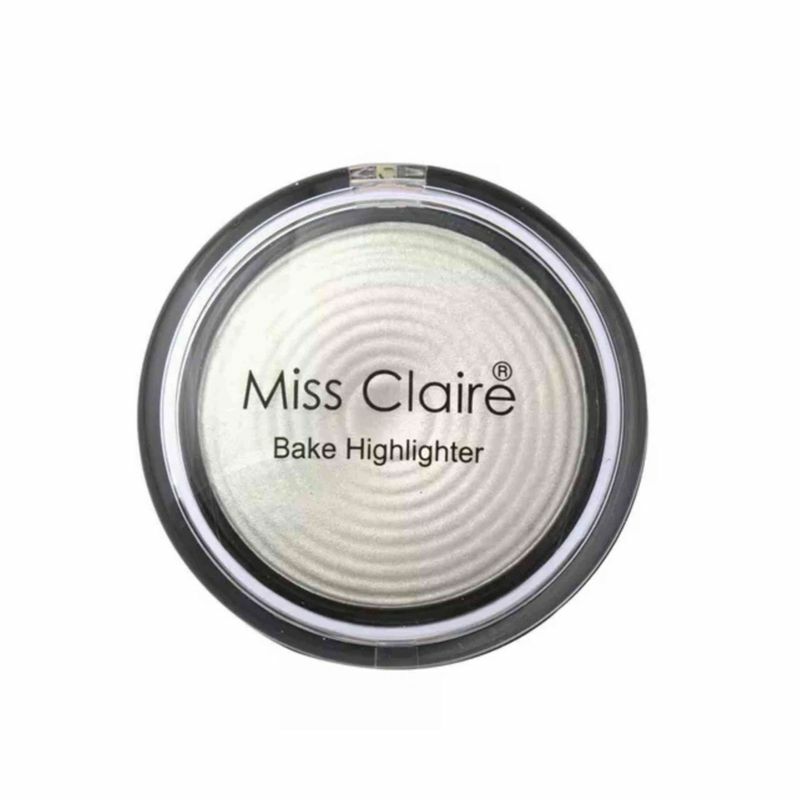 The Miss Claire Baked Highlighter has been a cult product from the brand since ages. A lot of Indian beauty YouTubers have raved about it. 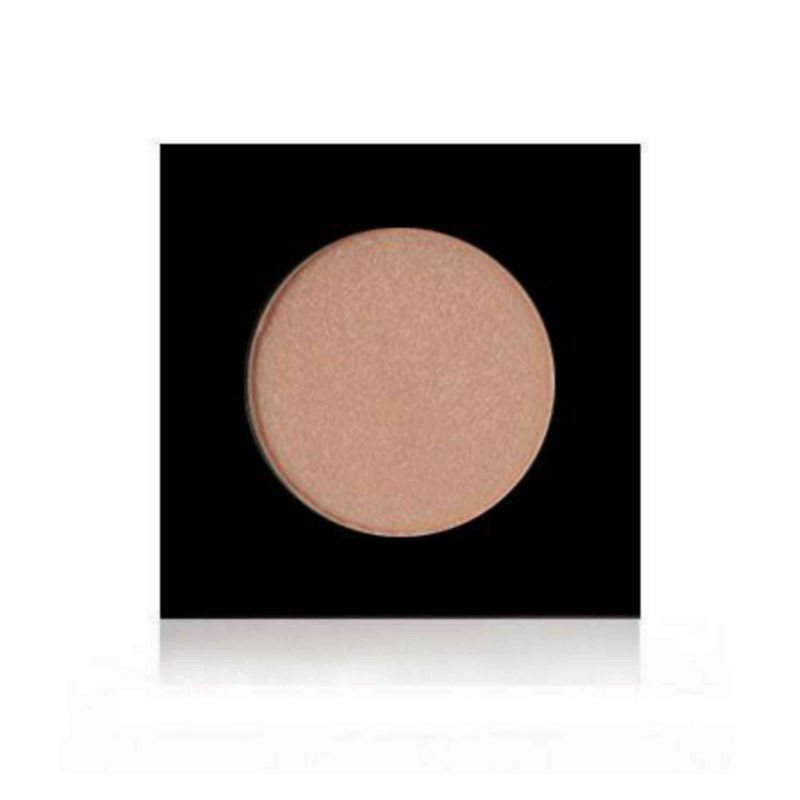 Since it is a baked highlighter, it gives a stunning, intense finish. On top of all, they have 5 varieties of shades in this highlighters range. The shades don’t have any names, but you can check their swatches on YouTube. These are very intense baked highlighters in India, you can definitely go for a highlighter from this range if you like an intense highlighted look! Not available in offline markets easily. 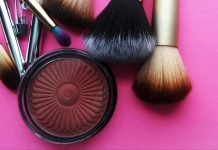 The best drugstore highlighter for Indian skin. Available in two beautiful shades, the Maybelline Master Chrome Metallic Highlighters are bound to leave you awestruck! These highlighters can get you glowing to the gods. 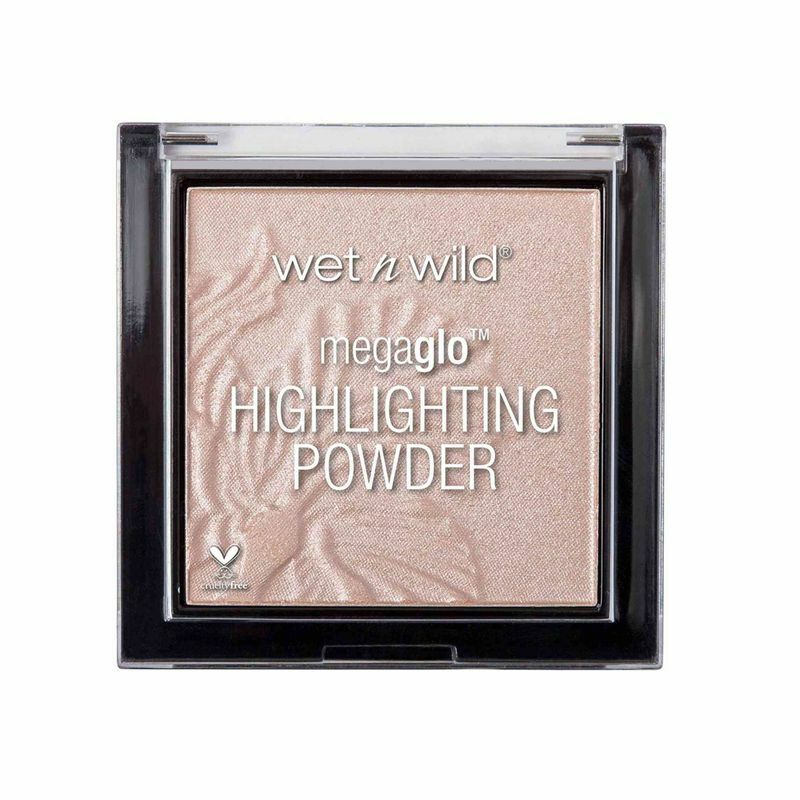 Don’t get scared off by the word “metallic” in the name, on the days when you want just a hint of glow on your cheeks, you can apply this highlighter with a light hand for that subtle effect. Adjust its intensity as per your mood! The highlighters are priced just Rs.50/- above 500, but they are usually available with discounts online which bring down their price to 450-400, so make sure you grab them during sales! The swatches of these highlighters have left me so speechless that I have no words left to praise their beauty in the pros section! Maybelline should have launched all 4 of the shades from this range in India, they launched only 2 of them. Partiality, eh? There is a fair chance that you may not have heard about this brand before since it is not a popular one. So let me introduce you to it, Makeup Obsession is a sister brand of Makeup Revolution (Revolution Beauty). 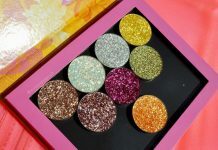 This brand is mainly known for their inexpensive single eyeshadows, highlighters, etc. You can make a customized palette with their singles. The Makeup Obsession highlighters are available in 4 shades – Peach, Pearl, Bronze, and Bare. Aside from that, Makeup Obsession also has Strobe Balms with a creamy finish. The strobe balms are also available in 4 shades out of which, the shade Gilded is the most natural-looking one. 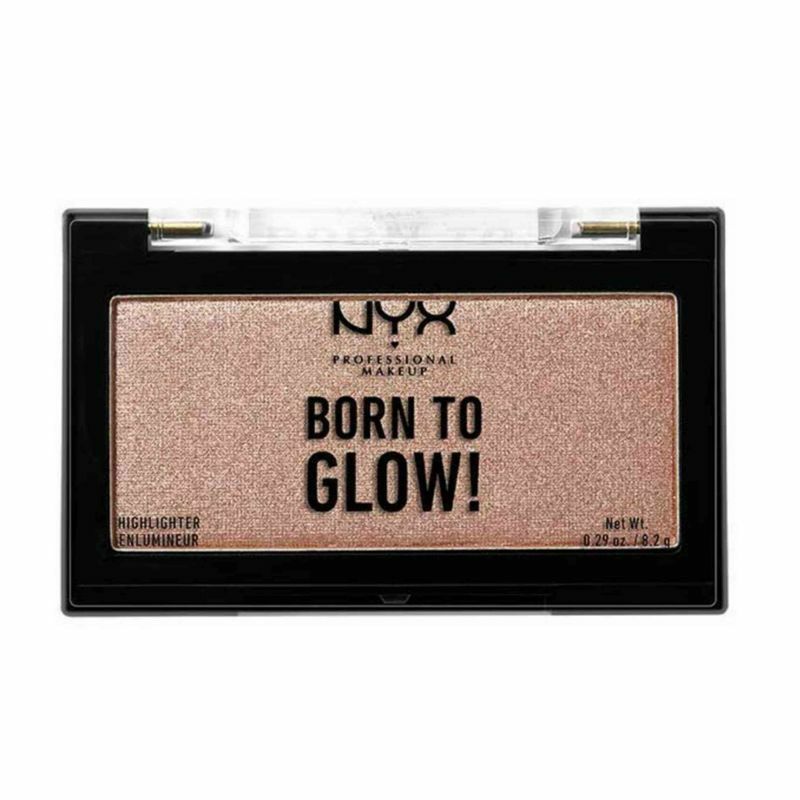 Affordable drugstore highlighter in India with which, you can create your custom highlighting palette! Has a shade for every skintone. The highlighters are nicely pigmented and not chunky at all. This brand’s products are not available in offline stores. A palette from the Queen herself! The Huda Beauty 3D highlighter palettes are available in 5 shades, with each palette having 4 highlighting shades. Huda created these palettes while keeping her favourite “layering” technique in mind. She prefers to layer different highlighters as it gives the most natural yet dreamy effect to the skin! Has a unique concept of layering up the highlight over strobing shade. The variety of shade options is commendable. Exorbitantly price, would not suggest buying this palette unless you are OK with investing your money on good-quality, high-end products. P.S. : Looking for a cheaper dupe for Huda Beauty 3D Highlighter Palette with a similar layering concept? 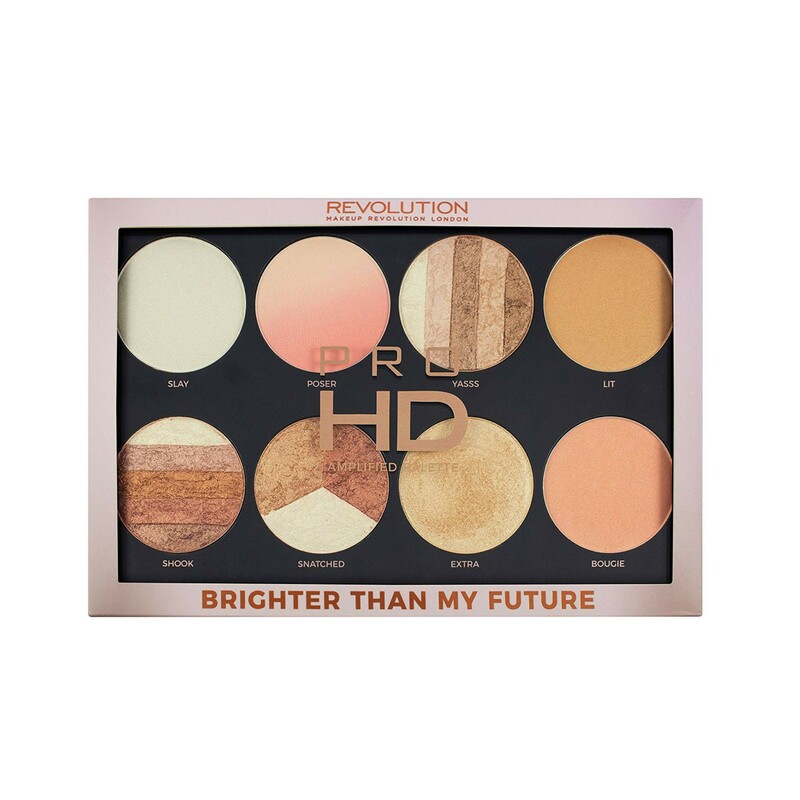 Check out the Revolution Pro 4k Highlighter Palette which is priced less than 2/4th of the Huda Beauty palette I have mentioned above. Save those ₹₹₹! The shades in this palette definitely look brighter than my future! Jokes apart, Makeup Revolution is a brand known for their pro-quality palettes – be it their eye palettes or the face palettes. This Pro HD highlighting palette contains 8 face highlighters that all are quite unique and different from each other – in terms of finishes and types, both. You could say that they have combined all their best selling individual highlighters into a single palette. This palette has a regular white highlighter, a blush and highlight hybrid, 2 shimmer circles (like their shimmer bricks!) highlighters, a bronze highlighter, a baked highlighter and lastly, a rose gold pressed highlighter. In short, this highlighting palette is the mother of all the highlighting products out there. An extremely unique palette with stunning highlighting shades in different finishes. Reasonably priced, considering the variety of shades you get in the palette. It is a cruelty-free highlighter in India. Couldn’t find any with this one. Would my list be complete without this iconic mary-lou manizer highlighter? Of course not! 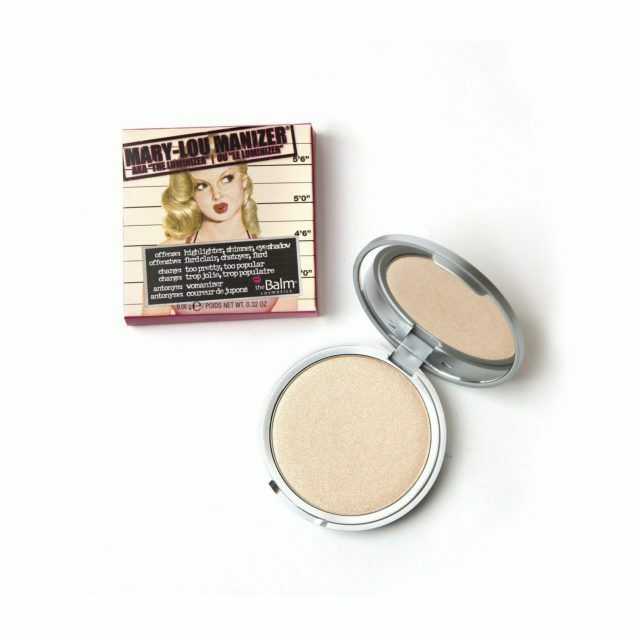 No words are enough to talk about this everyone’s favourite highlighter from theBalm! It has been about a couple of years or more since it was first launched, but it is still as popular as it was on day one! It is an OG product in the world of makeup that everyone swears by. The question that must be coming to your mind right now is – what makes this highlighter so special? Well, it is its buttery smooth, non-glittery and non-chalky formula! Furthermore, this highlighter is also talc free and paraben free! Those who want to add a youthful glow to their face should opt for this highlighter. It may be out of your budget, but it would be worth your investment. It is an iconic product with soft and smooth light-diffusing formula. The packaging is just lovely, it also has an attached mirror that a lot of highlighting products lack. If you want to own just one subtle highlighter for everyday use – let it be this one! There are 3 shades in the singles, you may also buy their highlighter palette which has 6 shades – 3 of which are available to be purchased as singles. Budget-friendly drugstore highlighter in India under 800. Comes with luminescent pearls that catch light. Nykaa is absolutely killing it with their back to back launches! Their very own makeup line started with just kajals and lipsticks, but now it has a ton of face products ; like this gorgeous duo of highlighters! The Nykaa highlighting duos are available in 3 shades, 24K Glam, Gliterrati and Moonshine. The highlighters are infused with unique light-diffusing particles that give a natural effect to the cheeks and photograph really well. If you have an olive-Indian skintone, 24k Glam is the shade that should be your pick! Affordable highlighter duo in India with a creamy formula! Twos are always better than one! You get two highlighting shades at the price of one. Gives a strobed effect to the cheeks. PAC keeps their products’ pricing minimum without compromising with their quality! No doubt that their products are loved by so many Bollywood beauties and makeup artists out there. The PAC Highlighters are available in 6 shades. There is one for each skin tone! The shades can be used in wet or dry form – it all depends on the desired intensity that you want! To use it in wet form for that intense pop of highlight on your cheeks, just wet your brush with a makeup setting spray, pick up the highlighter with it and pop it on your cheeks and the other high points of your face! The highlighters have a smooth formula. They can be used in a wet or dry form. Love the variety of shades in this range! Could have been a bit more affordable. The shades don’t have any names so you might get confused about which one to pick if you are buying them online. Liquid highlighters may not be that beginner-friendly, but once you get hang of them, you wouldn’t want to use powder or cream based highlighters after that! Liquid highlighters are very concentrated and hence, they give you a highly reflective and gilded glow. Use the tiniest bit of your highlighter on the high points of your face with your fingers or mix it up with your foundation/BB cream to fake that naturally dewy and luminous complexion! These are the top liquid highlighters available in India that you can give a shot to. I am not trying to exaggerate, buuuut man, the Benefit Cosmetics Liquid Highlighters can blind people. They are just all sorts of perfection that you can expect from a highlighter. The brand has 4 liquid highlighters – high beam, sun beam, shy beam and the girl meets pearl liquid luminizer. 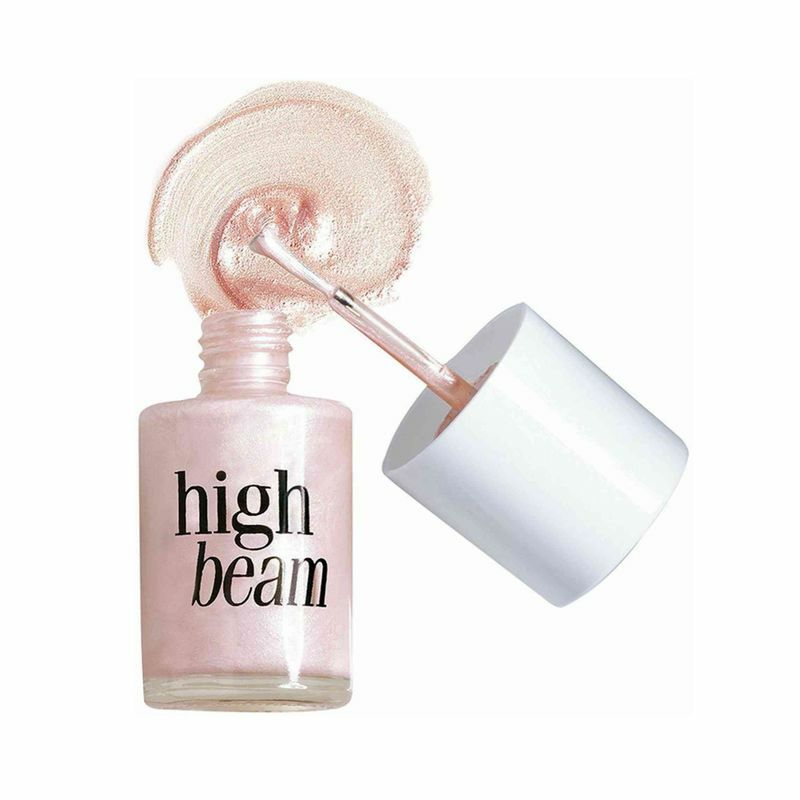 Out of these 4, high beam is the most versatile one that would look great on all skintones. You may go for Sun beam shade if you have a medium-deep Indian skintone. 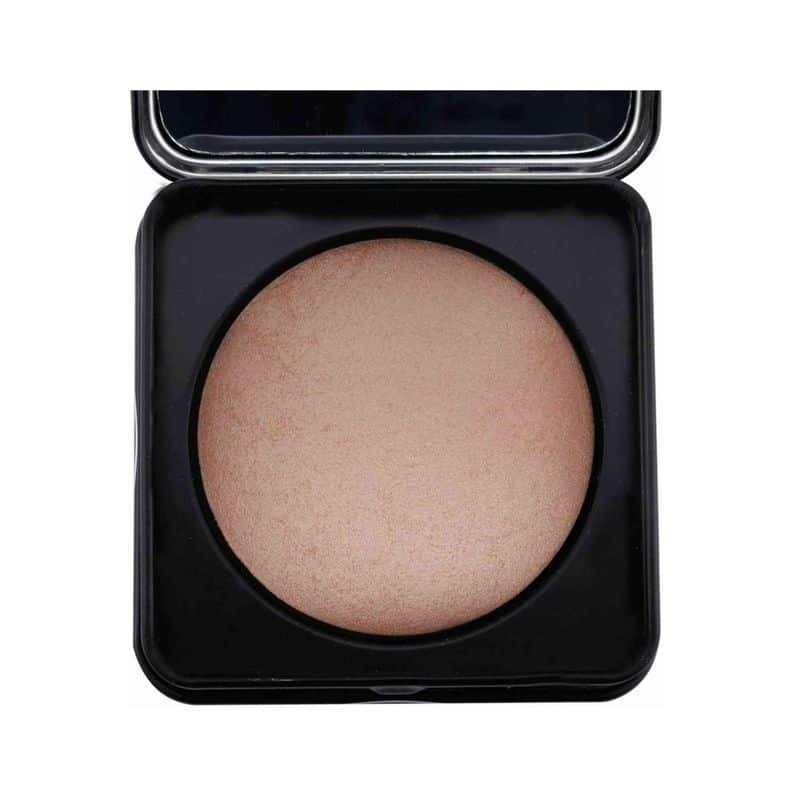 The luminizer, on the other hand, is something that you would want to use with your base. The benefit liquid highlighters can give you a blinding highlight. 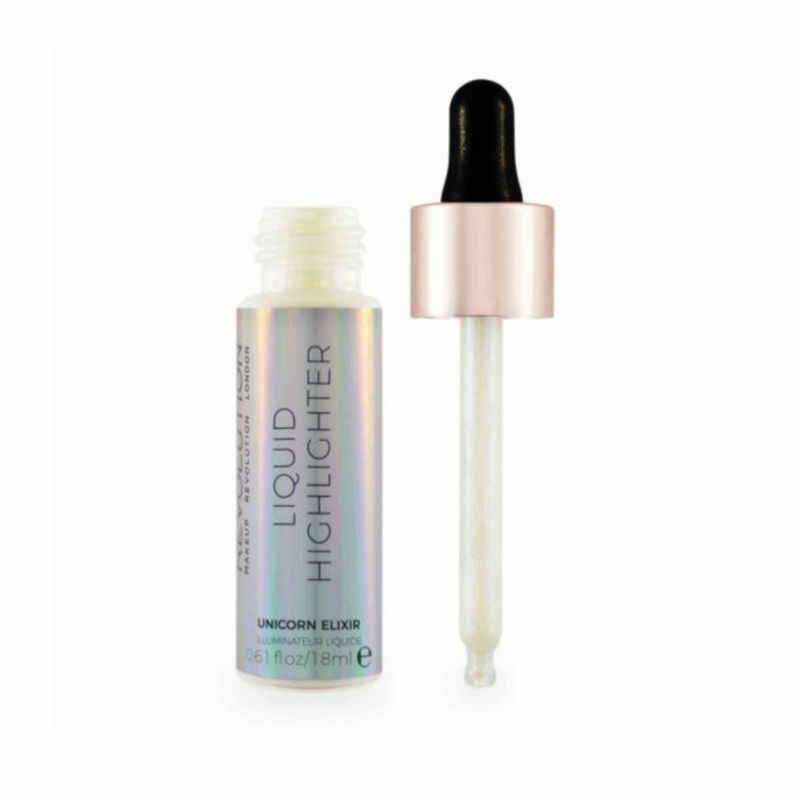 These liquid highlighters come in ultra-cute tiny bottles. They don’t look too artificial on the skin. 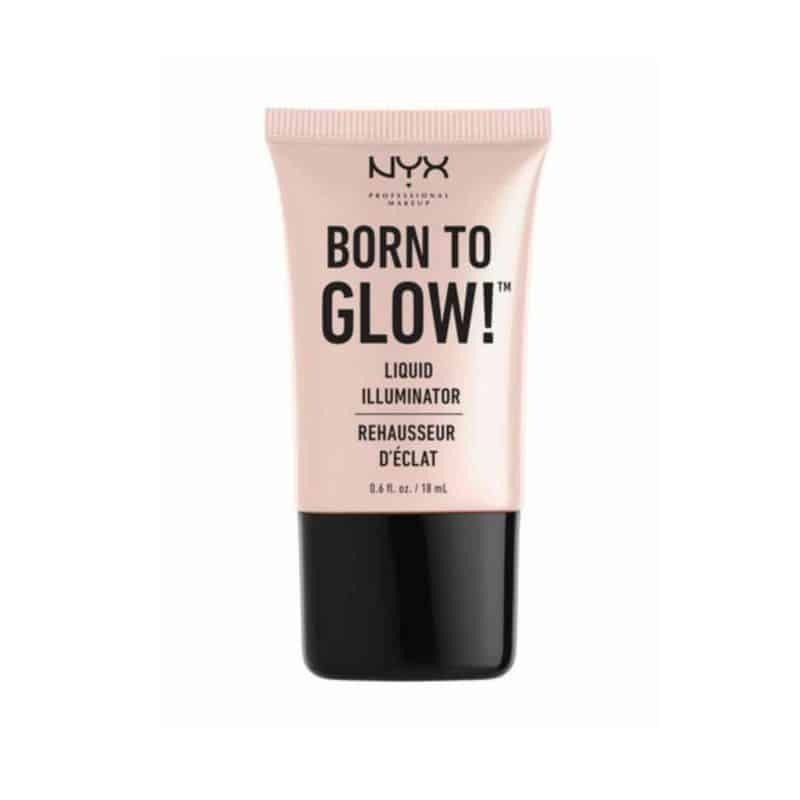 This product from the drugstore brand NYX is best suited to be used with your foundation to achieve that lit-from-within glow. It is available in 4 shades and the best part is, they have a deep bronze shade named Pure Gold for beauties with a deeper complexion. Not a lot of drugstore brands have such kind of shade option for beauties with a dark complexion. The pure gold shade is certainly the best highlighter for deep skin in India. Affordable and best illuminator for Indian skin with a good shade option for deeper complexion. Some people find the glitters in the product too chunky. If I had to write about this particular product from Makeup Revolution in one line, I would just say that it is magic in a bottle! Even its bottle’s pictures might be mesmerizing enough to make you fall in love with it! And the shade range? Well, it is just insane! There are a total of 12 shades in Makeup Revolution Liquid Highlighters collection, the most interesting one is “Unicorn Elixir” which is an iridescent lilac shade. All your unicorn dreams might come true with it! 🦄 The other favourite shade of mine is Rose Gold which was a huge makeup fad during the last two years (and still is!). This highlighter is one of my top 4 affordable highlighters India picks! The Makeup Revolution Liquid Highlighters are just ethereal with that extreme amount of pigmentation and luster, sans the glittery or over-dramatic part. Available in an array of shades to suit your likings! Considering the prices of other Makeup Revolution products, I feel that the brand could have kept the price of their liquid highlighters a bit lower. About Rs.750-800 would have been okay. Last one on the list, but certainly not the least – this line somehow rhymed in my head. Strobing and highlighting are two different makeup techniques, but they both give the same effect to your skin! Enriched with micro-pearl liquid formula, The Maybelline Master Strobing Cream is the most affordable strobing product in India with two shade options to choose from. Achieving a candlelit glow becomes easier with this one! 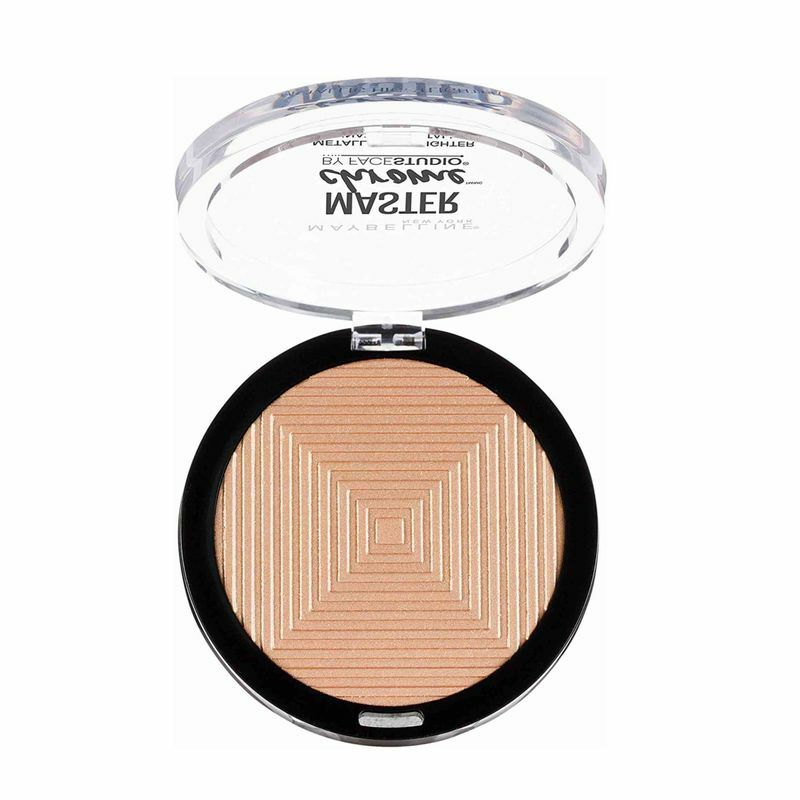 It is an amazing dupe for MAC Strobe cream. Has unique micro pearl-liquid formula. 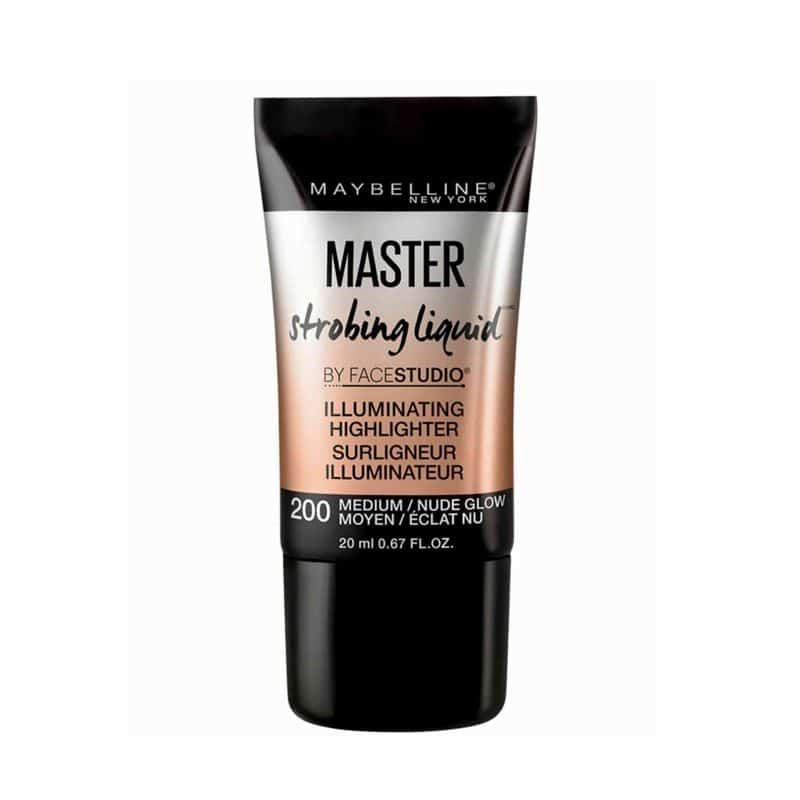 If you want to try a stick based highlighter, you may want to check out the Maybelline Master Strobing Stick which is from the same range. Deal of the day: Get Redmi Note 6 Pro 64GB on flipkart! Such a great list. Thanks for sharing it. MUA and Sivanna are definitely on y list. Great post! I’m super excited to try out the Maybelline Duo Stick. The idea sounds very nice. Sivanna and Essence highlighter seem so affordable!